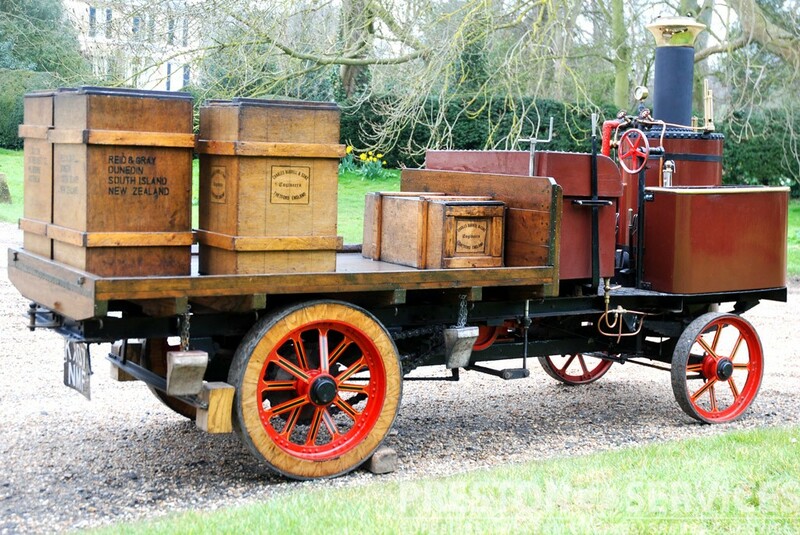 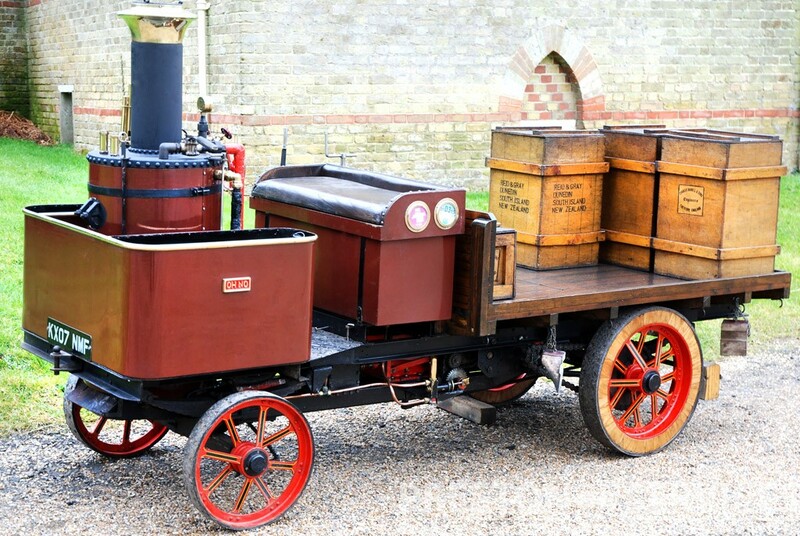 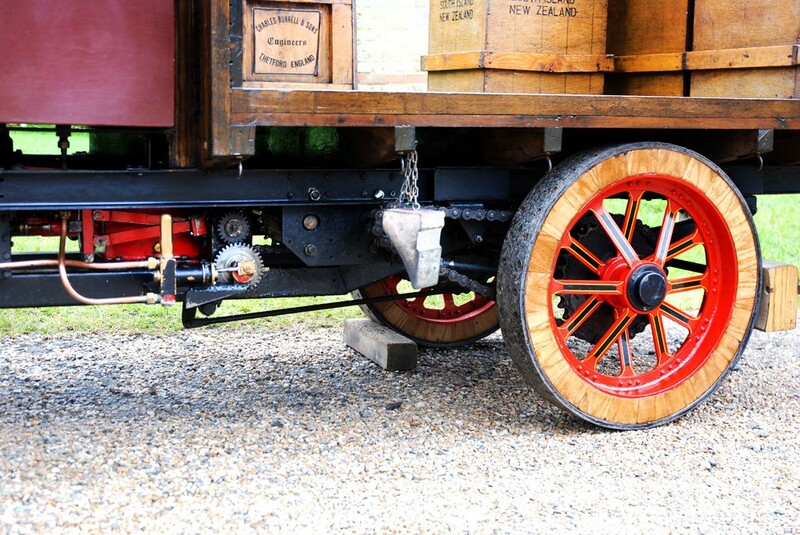 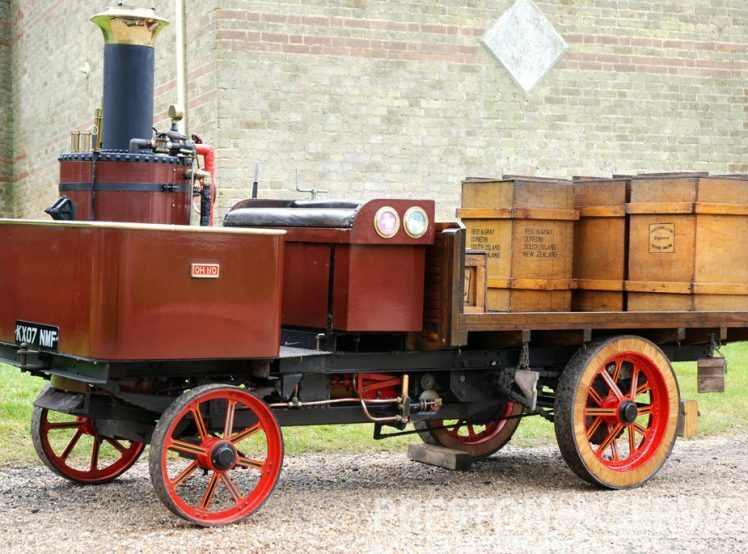 This miniature is based on the first design of Burrell undertype steam wagon built in 1901. 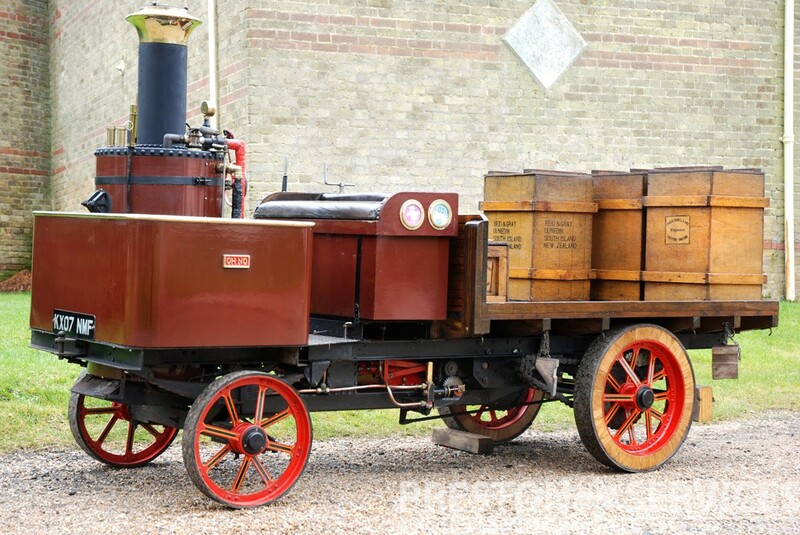 With vertical boiler and enclosed compound engine, driving the rear axle via 2 speed transmission. 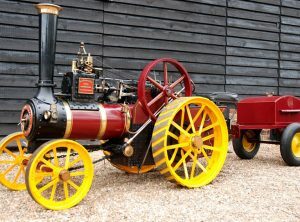 Completed in 2007 and rallied extensively, this unique miniature steams and runs very well. 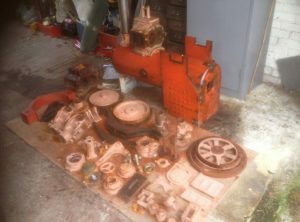 For sale with full current boiler certificates. 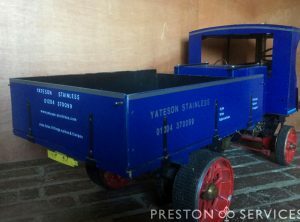 This 1/4 scale miniature is a Traction World “C” type Foden. 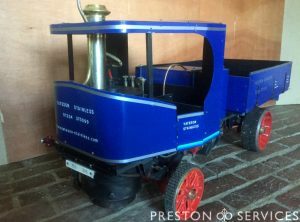 Almost finished, requiring finishing touches, this is for sale in excellent condition with new boiler certification. 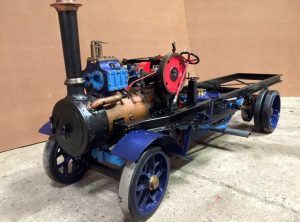 A very usable size of engine, this is based on Plastow miniature of the Burrell 7 NHP agricultural. 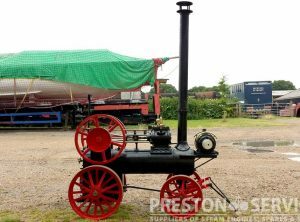 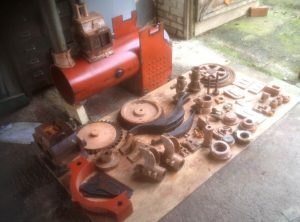 This example appears to be well made, with a professional steel boiler and in good condition. 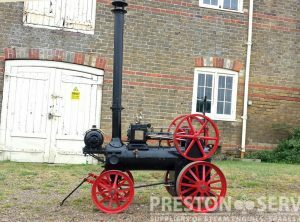 For sale with a newly issued boiler certificate. 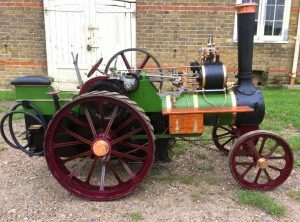 Based on a Ransomes Head & Jefferies portable. 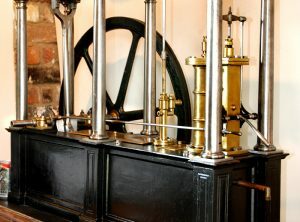 An exhibition quality miniature beam engine dating from the late 19th Century. 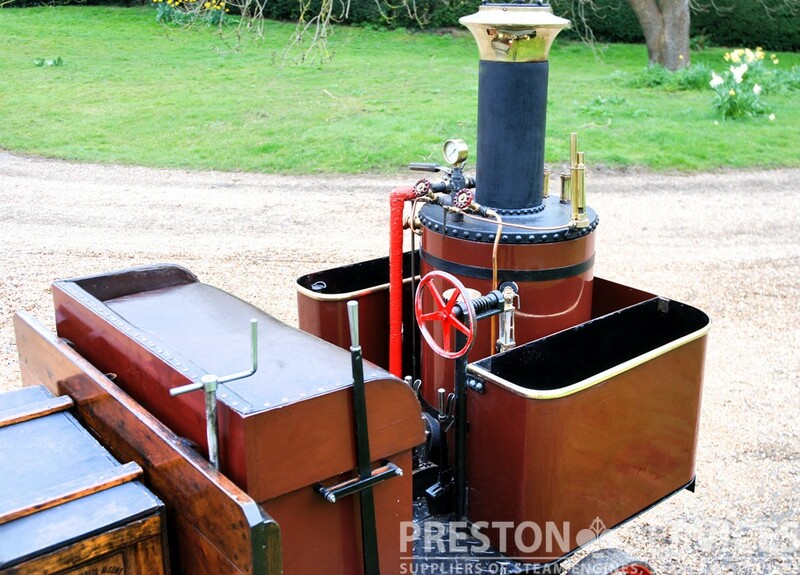 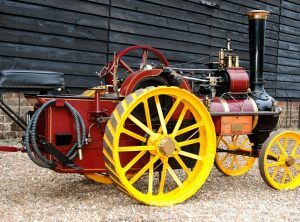 This very handsome engine features an elaborate cast iron bed and 6 Roman Doric columns supporting the top frame. 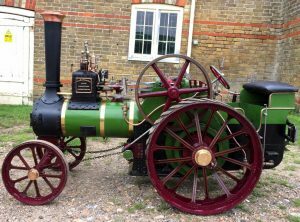 Carefully cleaned and restored in recent years. 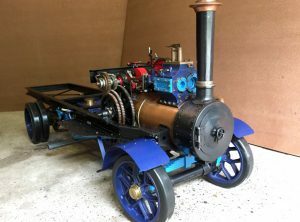 This example appears to be nicely made with a professional steel boiler. 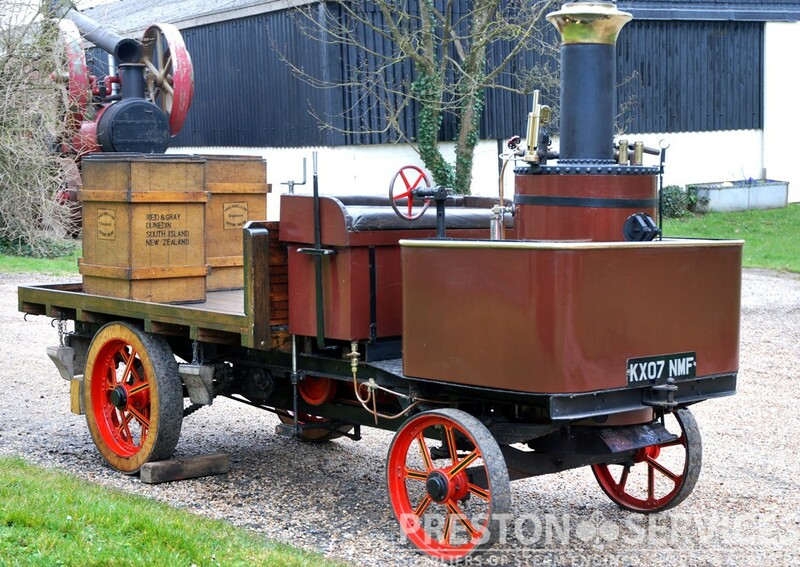 For sale in excellent condition with current boiler certificates and complete with water cart trailer. 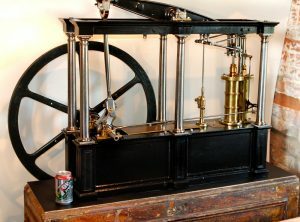 An electrically driven miniature carousel for towing behind a scale traction engine, with integrated water tank. 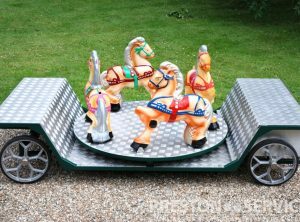 4 fibreglass horses on an electrically driven turntable, all mounted on a trailer. 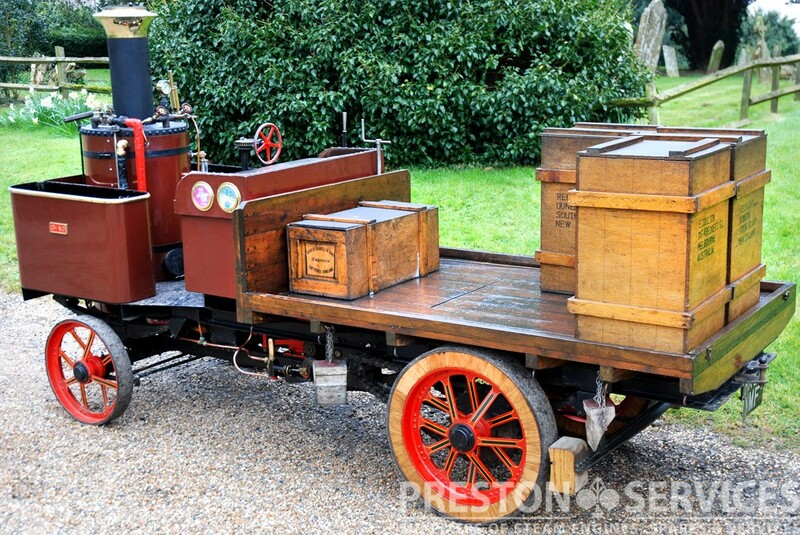 Trailer with turntable and well made box section chassis, chequer plate floor and cast, Foden style trailer wheels. 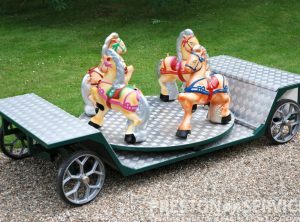 An entertaining accessory for the rally field.